An amazing opportunity in the very popular Forest Springs North! 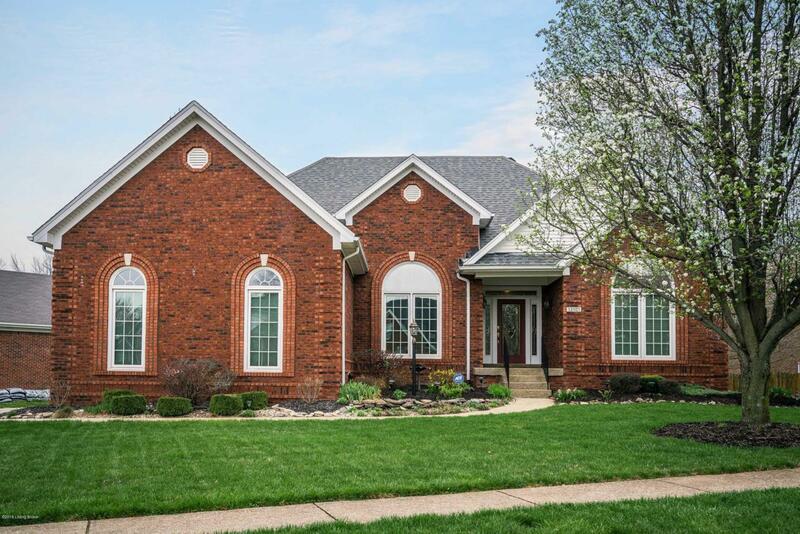 This beautiful well-built and designed past Homearama home could be your new residence. 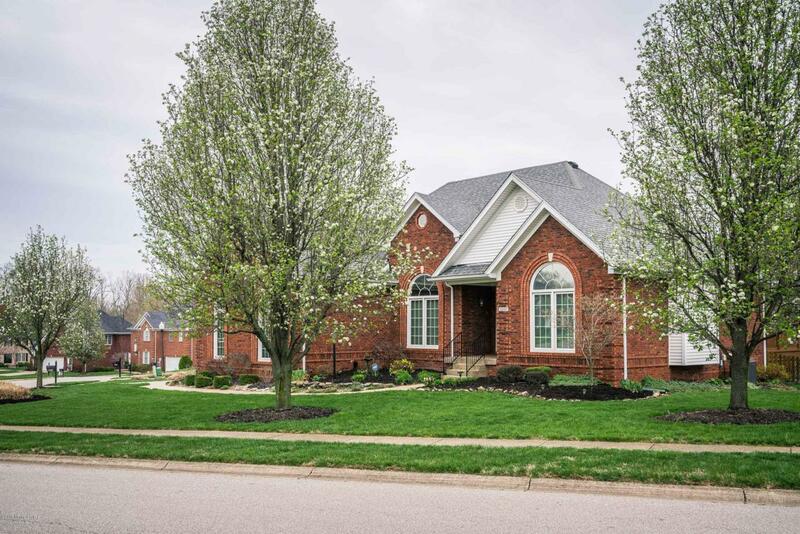 Impressive ranch-style home with high-end finishes boasts approximately 2250 square feet, 3 bedrooms, 3 full baths, perfect for entertaining. Beautiful recessed ceiling in hallway with lighting and dentil molding throughout. Have your holiday dinners in the gorgeous dining room with vaulted ceiling. In-laid hardwood floors in foyer, great room, dining room, kitchen, and sunroom. Great room with see-through fireplace to charming sunroom. Custom gourmet kitchen is truly spectacular with top-of-the-line maple cabinets, built-in appliances, cherry island, cook-top gas grill stove, and granite countertops.Enjoy your morning coffee in the cozy screened-in porch directly off the breakfast area overlooking the manicured fenced yard. 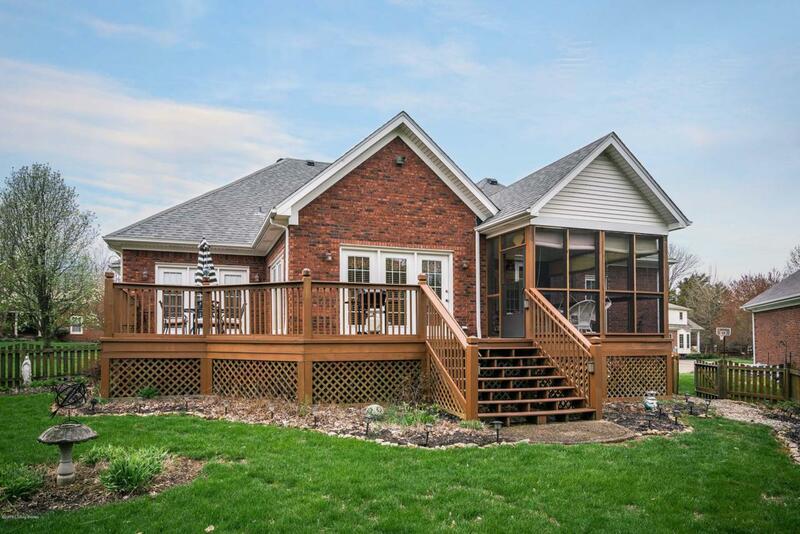 Spacious wrap-around deck with French doors to kitchen, sunroom, and master bedroom. Roomy master bedroom with large walk-in closet, hip vault ceiling, and master bath with tub and separate shower with ceramic tile. Convenient first floor laundry. Lower level features sizeable entertaining area with fireplace and many built-ins. Full bath with tub and shower. Office space with French doors, exercise room, and plenty of storage space. Two-car attached garage with side entry. Home is wired with intercom and speakers. 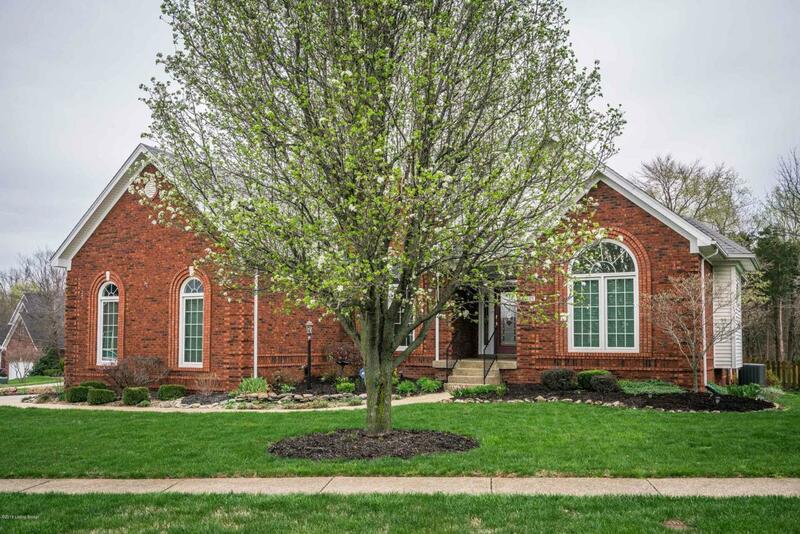 This home has been lovingly well-maintained and truly is a gem!